A UN report says Iran has developed the science and technology skills necessary to be a global player in more than oil and gas but it must invest more in innovation. 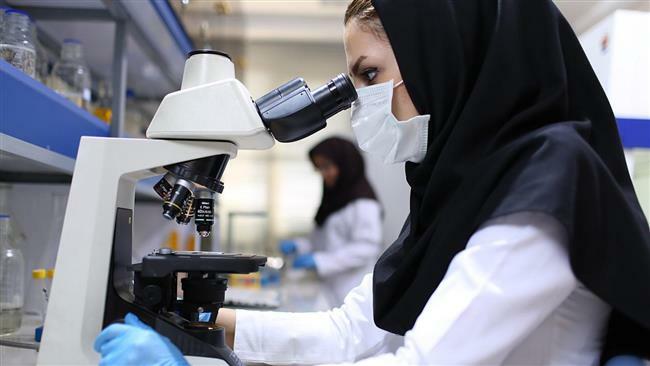 The report released on Tuesday by the United Nations trade and development agency, UNCTAD, touched on Iran’s “impressive” scientific growth since it last assessed the country’s policies on science, technology and innovation in 2005. Iran has had one of the world’s fastest growing scientific outputs, climbing from 34th to 16th position in terms of scientific publications, UNCTAD’s new Science, Technology and Innovation Policy Review for Iran said. Iran’s population now has the world’s second-highest number of engineer graduates per capita. The country has shown it can do top-notch research and work with technology, even in emerging sectors like nanotech, but the challenge now is to commercialize this knowledge, the report said. “Iran’s impressive human resources position it well to seize the opportunity of reconnecting with the global economy, and its policies on science, technology, and innovation will be critical to its success,” said Shamika Sirimanne, director of UNCTAD’s Division on Technology and Logistics. US-led sanctions in place since 1980 and strengthened in 2008 have forced the country to become self-reliant despite limiting Iran’s access to foreign finance, technologies and markets, UNCTAD said. Since 2005, Tehran has taken important steps to put in place the right policies on science, technology and innovation, but needs to better align these with other key policy areas such as trade, investment, industrial development, education, and competition, the report added. Iran is now the most economically diverse oil-producing country in West Asia. Iran’s $400 billion economy holds the promise of a lucrative market of nearly 80 million consumers as businesses are seeking new opportunities for growth. According to UNCTAD, Iran will face serious competition from foreign companies. Good policy, it said, can facilitate more innovation by Iranian companies, helping to boost growth and create more jobs. Iran has set up institutions to promote technological development and innovation. UNCTAD said some key institutions remain too focused on production. The country has increasingly shifted its focus from research and education toward technological development and a stronger emphasis on innovation. The economy has seen 2,700 knowledge-based firms worth $6.6 billion spring up in recent years. New knowledge-based firms, however, cannot transform the economy on their own and large established industries, such as oil and gas, automobiles and steel, should also invest more in innovation, the report said. One of the report’s recommendations is to increase spending on research and development to 2.5% of gross domestic product, with an emphasis on increased private sector spending. Currently, the figure sits below 1%, most of which comes from government or state-owned companies. “Research and development is important, but is not a silver bullet,” said Michael Lim, an UNCTAD economist and one of the report’s authors. “Iranian companies can boost their competitiveness by improving design capacity and softer, non-technical skills like marketing and management,” Lim added.